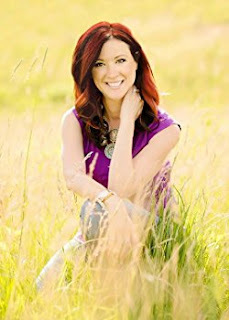 I am so EXCITED to bring to you all this surprise interview with JD Hollyfield! 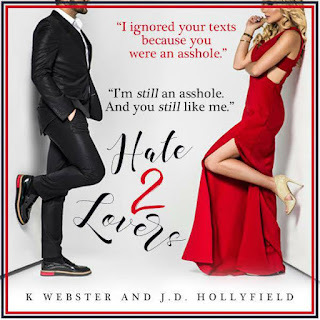 She had a book release today, Hate 2 Lovers, and it's book two in the 2 Lovers Series. It will ROCK YOUR WORLD , My Little Pretties! I will not keep you much longer from this fantastic lady's answers. They are just too good to not let you just jump right in. So, pour yourself a glass of wine, and sit down. Read this interview, and then head on over and One Click all her titles, but especially her new release! I really want to go to Europe. I want to travel the wine country and visit a real castle. Picture of my husband and son. I read a lot which gets my brain working. I tend to watch a lot of Lifetime that sparks the over the top drama plots and I’m an active dreamer. I have written three books now, off of a dream. Take time to look around and enjoy it. Life goes by too fast. I’m obsessed with Ace of Base. I’m a garbage pizza kinda eater. Alice in Wonderland. I love color and creativity. That whole theme is so eye catching and brilliant. I DO! I actually put in real life situations in them and my friends love catching them. They could be from actual experiences from myself or them. YES! I want to do a home make over show! Mash potatoes, donuts and wine. Anna Kendrick is my spirit animal! Be surrounded. I need social interaction. I’m a yappy kinda of person. Always speak what’s on my mind, god help everyone around me. A #hotcome novella. Steam factor on high alert! I have a few in the works. Also to finish out the 2 Lovers series.